The financial domain is often associated with professionalism and more rigid, corporate design concepts. For example, as a financial advisory firm, you need to create a trustworthy image. That’s why you shouldn’t overlook an important aspect – the online appearance. Your website must have a concise but informative design, a proper use of images and useful content that delivers your message in a successful and effective way. Whether you’re a businessman, a financial company owner or just looking for design inspiration for a client, you should find some great design ideas and business templates in the list below. In this article, we gathered some consulting agency, financial, marketing, business, and finance website templates and website design examples. These 40 financial website designs and templates have the power to help you represent your company’s greatest qualities and expertise, in the best way possible. KeyPoint Credit Union is a bank in the Silicon Valley and Bay Area CA. Its blue and white site has a clean and professional look. There is a lot of content displayed, but it’s easy to read and go to the info you need with just a couple of clicks. SW Justice is a fully responsive layout which will look incredible on any devices. You can rapidly create columns to display categories and products, or you can even add links to any page, widgets, and plugins. 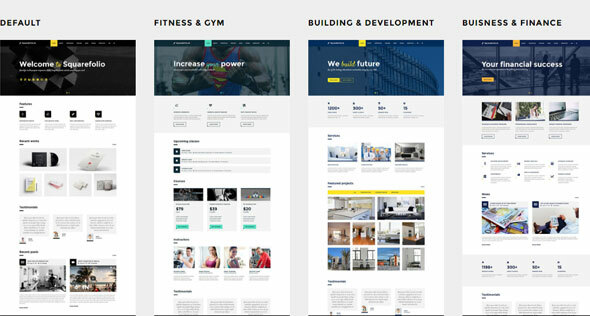 This is a beautiful retina-ready and responsive theme business theme, designed for promoting companies. This theme has many features and allows you to edit the site quickly. It is fully customizable and allows changing colors, logo, and menu. Northeast Credit Union is a leading member-owned New Hampshire Credit Union with an interesting website that features on the homepage a photo slideshow. This premium WordPress theme is ideal for your financial business and will help you successfully promote your company online. It is suitable for financial companies, investment services and much more. It is also SEO Optimized and has a full speed system. 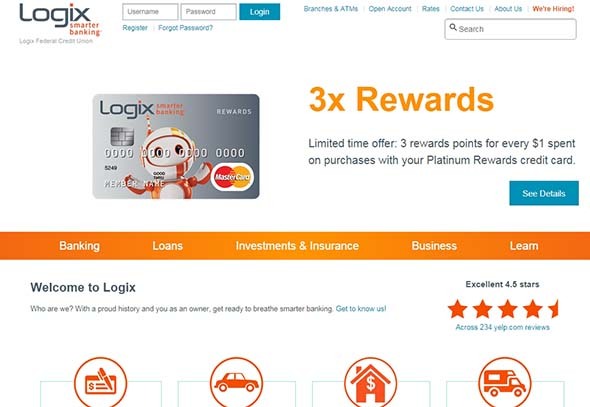 Logix bank is the place where customers become members and part-owners when they open an account here. The site theme has a nice and fresh look with incredible functionality. 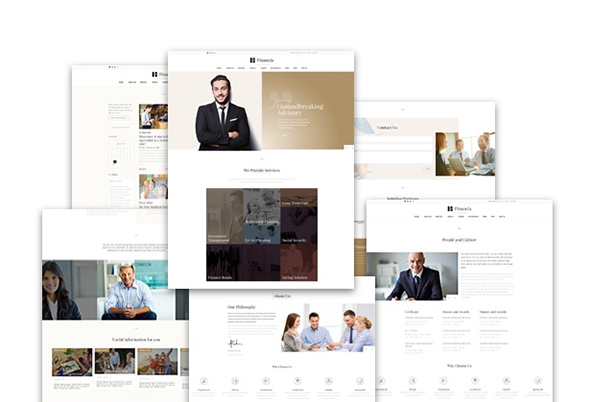 This business corporate WordPress theme is designed for business websites, for any financial and consulting offices, law offices, accountant offices, etc. Different pages can be created using a free shortcode collection, including charts and financial information texts. Johnson Bank is a financial services company with expertise in banking. The bank site is fully responsive and has a sumptuous theme. This professional theme has great content that will engage and inspire future customers. For maximum optimization, you can choose how to display your services. Includes different templates, custom pie charts, progress bars, etc. Lazard, the world’s leading financial advisory and asset management firm, has a clear and modern site, with an easy to use menu. Their choice of typography and color palette, give this website an elegant, high-end look. 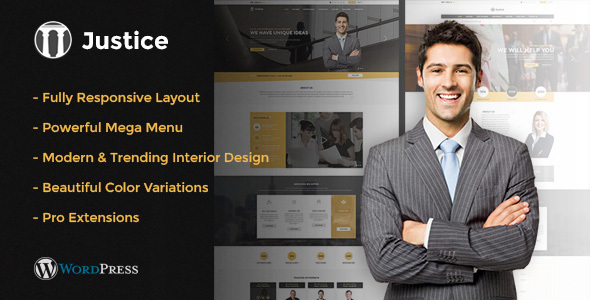 Capitalix is a multipurpose business WordPress theme. It is perfect for any business or market company. It has a bold layout and a unique style. St. Mary’s is a credit union that offers banking and financial planning to New Hampshire residents and businesses. Its site is a clean and professional one, plus it is easy to browse. 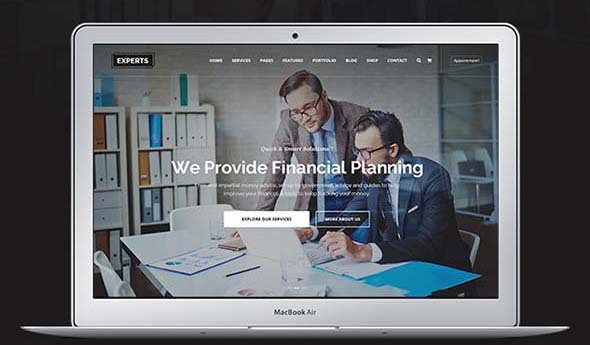 Experts is a professional and responsive WordPress specially designed for financial companies, financial firms, investment, tax-related, consulting, or any other kind of similar business. It comes with precise corporate demos and ready to use pages. This theme can be the ultimate solution for every businesses and website owner. It is designed based on the most business trends to improve your website with everything you need. It is a mobile friendly, and retina-ready theme. Bain Capital is a global alternative investment firm based in Boston. Its site has a fully configurable and easy to use a responsive theme. Cashbook is a business and finance WordPress theme which can be a great choice for any company. It is a fully configurable and easy to use. This is a responsive theme with a lot of amazing features. Tech CU is a Silicon Valley-based credit union with an exciting and sophisticated business and finance site. It uses a mostly orange and red color palette which catches the visitors’ attention. This is a website theme perfect for a small company website. It’s SEO optimized, lightweight and comes with a simple admin panel. The Firm theme is ideal for companies, law firms and small businesses. This LA Federal credit union site has a slick contextual menu in the sidebar and is easy to use. It has lots of text content which is presented in a easy to browse manner. Financia is a WordPress theme that is ideal for business, financial advisor, investment companies and much more. This is a modern and user-friendly theme which comes with a visual layout builder, custom posts, and portfolio. 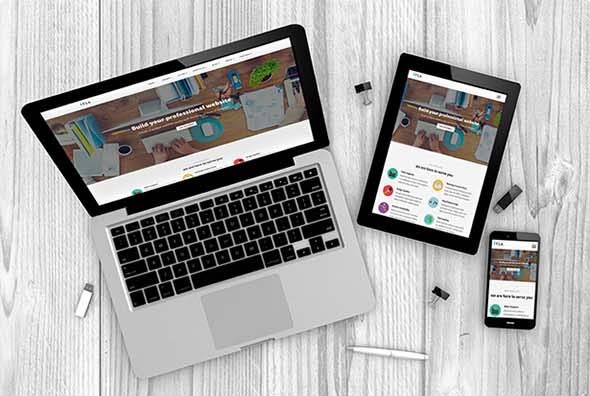 Financia is a clean, responsive WordPress theme that permits you to build a professional-looking website in a short time. Moreover, the homepage template is powered by widget-ready areas. PNC offers a wide range of services for all our customers. PNC Virtual Wallet’s page has a modern and classy look. The illustration in the homepage slider is also very interesting. This is an insurance agency WordPress Theme. Peace has a clean and professional layout and has a lot of features like sliders and insurance product galleries. Xapo helps you purchase bitcoins. You can then manage your bitcoin through an easy-to-use online wallet, with an imposing design. It uses large, bold typography and huge sliders on the homepage, to transmit its message in seconds. Fusion is a responsive WordPress theme, specially created for business and general corporate websites. This theme includes a visual composer and the necessary features for your website such as a blog, portfolio, shop, etc. It is also compatible with WPML. BitGo is one of the best security platforms for Bitcoin, with innovative and easy to use features. It has a blue and white color palette, which makes it trustworthy and professional. This responsive theme was built specially for Forex traders and financial analysts. 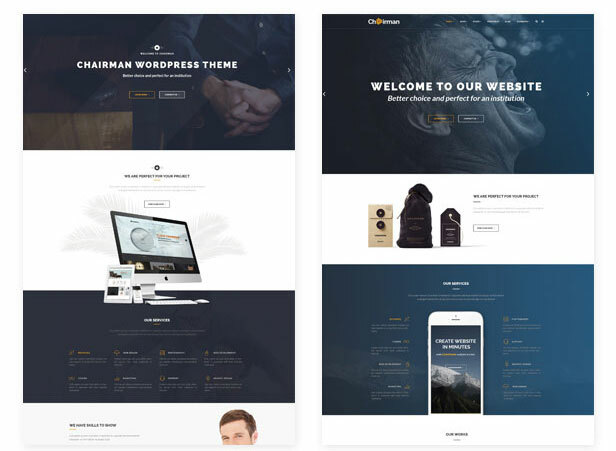 This modern template is a great solution and provides a wide set of theme options. The Sprott Group offers a collection of investment managers, delivering long-term returns to investors. This responsive site is easy to use and it has an eye-catching background. Chairman is created for a variety of purposes such as corporate, shop, portfolio, construction, event, etc. It comes with different layout options for header, home page, and content elements. This theme also supports WooCommerce. It is easy to use and set up. Ryla is a WordPress theme with a clean and stylish design. This theme can be adapted to any kind of business. Ryla is fully responsive. The Law Practice is a professional-looking lawyer WordPress theme designed and developed to meet the needs of lawyers, accountants and many others that need a corporate website. It includes all the necessary features to present legal services online. Old Mutual Group is an international investment, savings, insurance, and banking group. Its site has a fresh and green look with a very easy to use menu. This is an impressive legal theme, suited for lawyers, advocates, attorneys, etc. This is fully GPL licensed with great customization option and Jetpack plugin integration. Sonic is a multi-purpose WordPress theme which comes with e-commerce support and a sortable portfolio. It is also available with an easy-to-use Page Builder and Visual Composer. Goodlaw WordPress theme has a solid business design, ideal for law and financial companies. The theme features a useful list of attorneys, great blog layouts, as well as WP Booking Calendar to instantly make appointments. It includes an easy-to-use media content manager and a visual composer. Field & Main Bank is a Kentucky-chartered community bank dedicated to serving Kentucky and Indiana customers. This is a classic, sleek site, with a clean layout and very easy to browse. Atrium is a responsive corporate theme created for business or corporate related projects. You can modify the layout, colors, and fonts. It has a built-in theme demo data installer. Argon Asset Management is an authorized financial services provider. This site has a minimalist style with black and white colors and teal accents. This theme is a multipurpose and fully responsive WordPress theme, you can use as a starting point for any kind of project. Easy color and image selections are available. The theme has a fully responsive design. 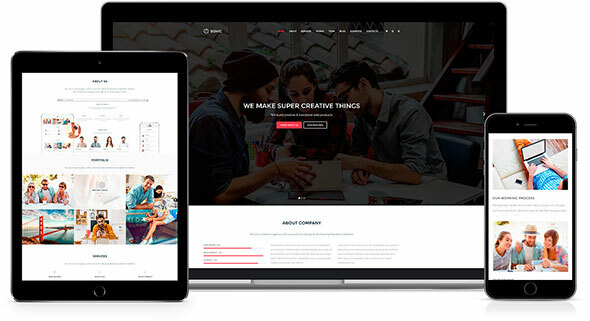 This is a fully responsive, clean and retina-ready WordPress Theme. It comes with loads of customization options and interesting design features that you will find useful. This finance and business WordPress theme is specially designed for business, financial advisor, accountant, law firm, wealth advisor, investment and general corporate websites. It is SEO optimized, responsive, retina ready. Squarefolio business multipurpose theme is easy to edit and modify according to your wishes. It also provides some great features like one-click demo installation, Visual Composer, Revolution Slider, etc. This is a clean, responsive WordPress theme, designed for business, financial advisor, accountant, law firm websites. It comes with some interesting features for your website such as blog, portfolio, testimonial, personnel page, etc. The post 40 Financial Website Designs & Templates appeared first on Line25.